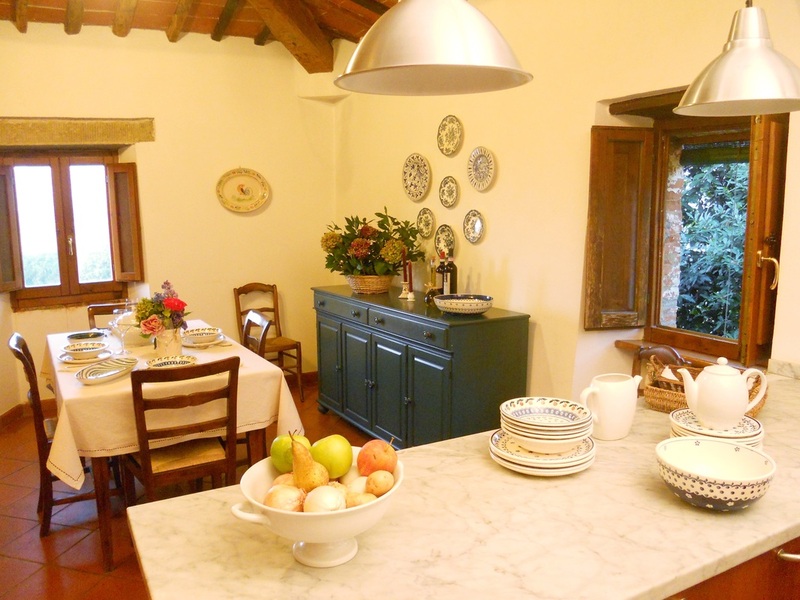 These charming villa and cottage are nestled in the heart of the beautiful Val di Chiana, near Val di Chio, a few minutes’ drive from the picturesque hilltop town of Castiglion Fiorentino and 15 minutes from Cortona. Here you can enjoy the peace and quiet of the Tuscan countryside and all the benefits of a lively historical town not far away. 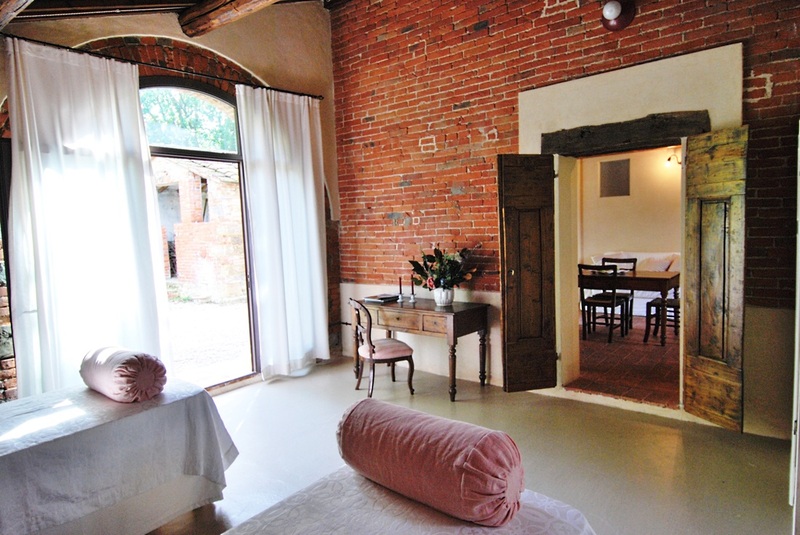 The buildings have recently been restored with much care, preserving their authenticity and charm while fusing it with the comforts of modern times. 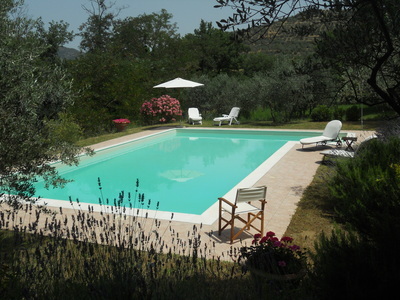 The 5000 m2 fenced property includes olive trees, oak trees, spacious lawns and a large swimming pool, open from the 17th of May to 4th of October 2014, with a delightful view of nearby Castiglion Fiorentino. The pool is surrounded by gardens filled with lavender and rosemary. There, you will find comfortable lounge chairs for your relaxing pleasure and an outdoor shower. 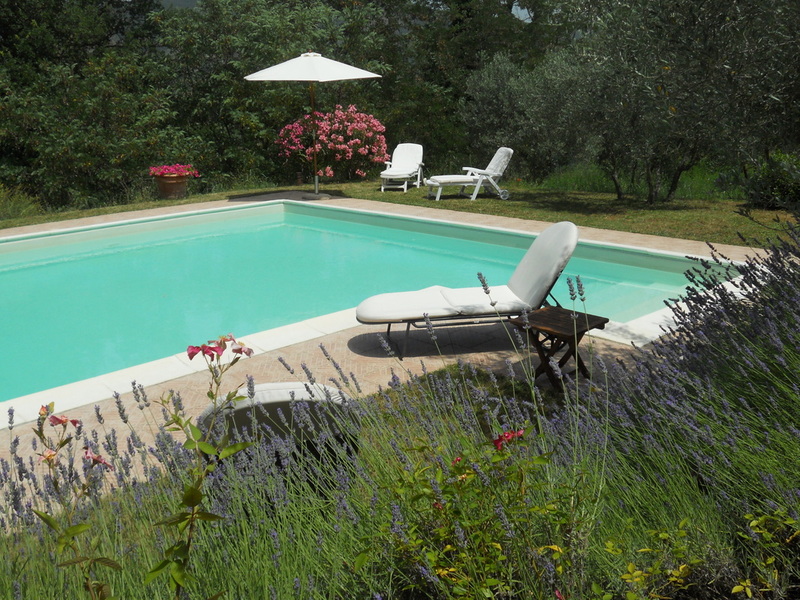 Pool towels are included in the rental rate. 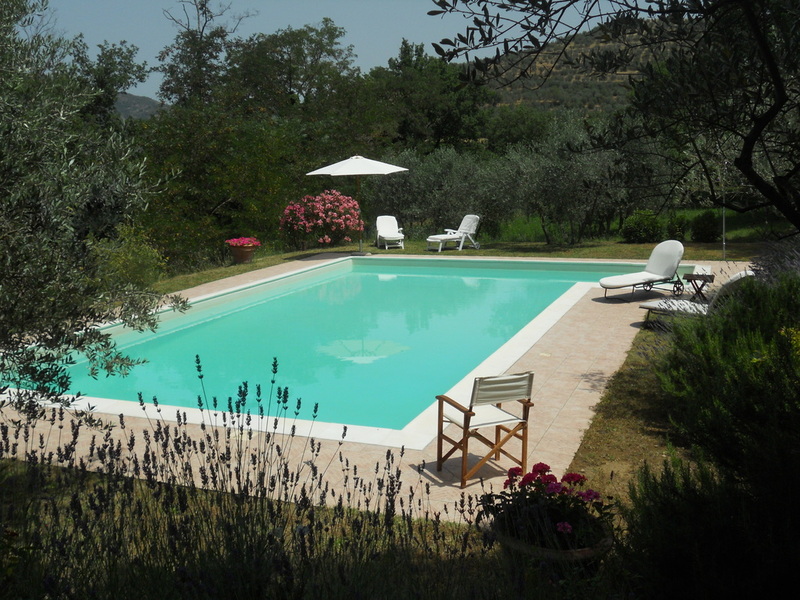 Sole di Chio is open from the 14th of June 2014 to the 28th of September 2014. 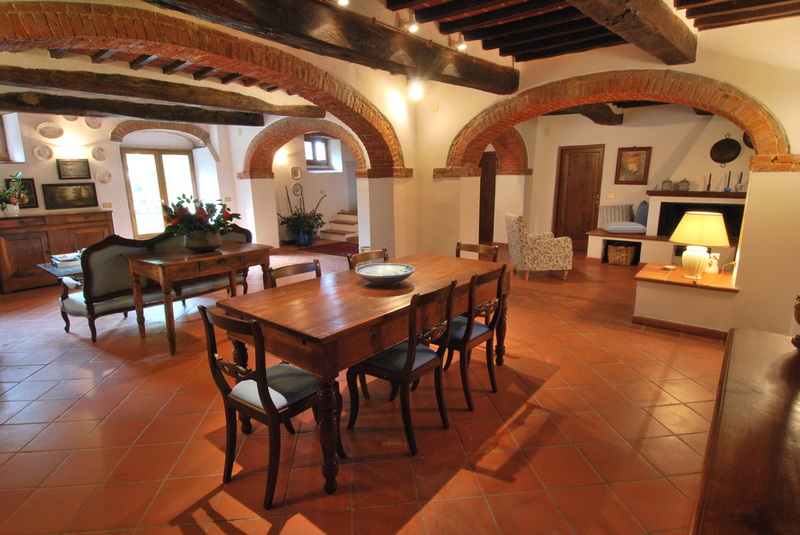 The villa consists of two floors which can comfortably accommodate 6 adults. 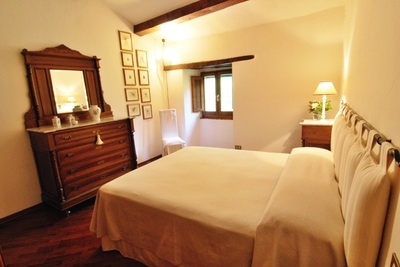 The cottage consists of two floors which can comfortably accommodate 4+1 adults. 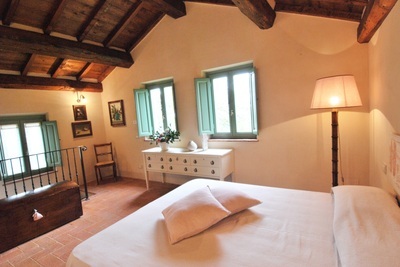 Bedding, towels, electricity, wifi are included in the rental rate. 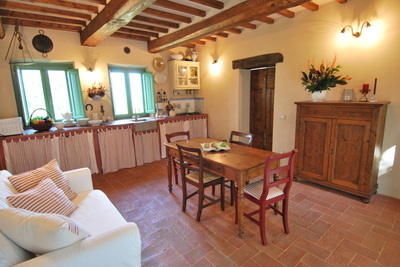 Heating is optional and it is not included. 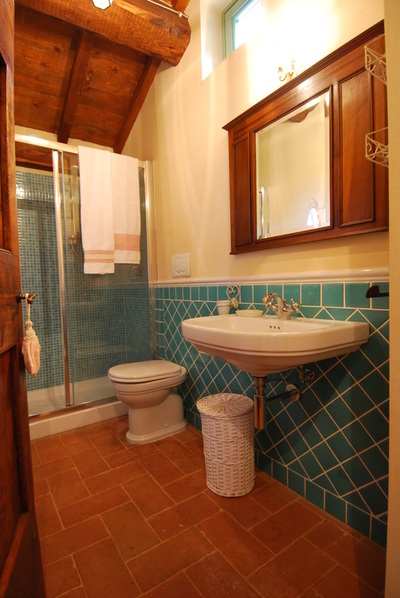 Additional amenities for our guests include complimentary Internet (Wi-Fi). 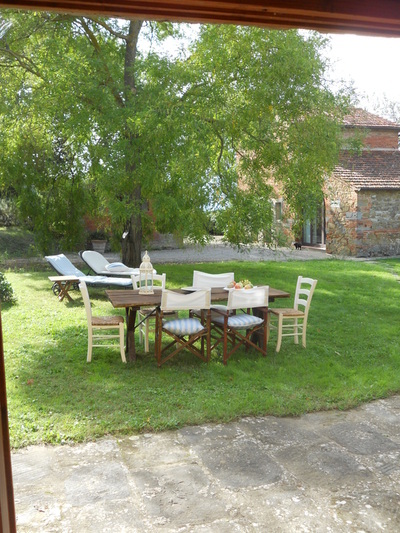 Our guests can enjoy the large yard for relaxing, playing with their children, and dining at the outdoor table under a gazebo. 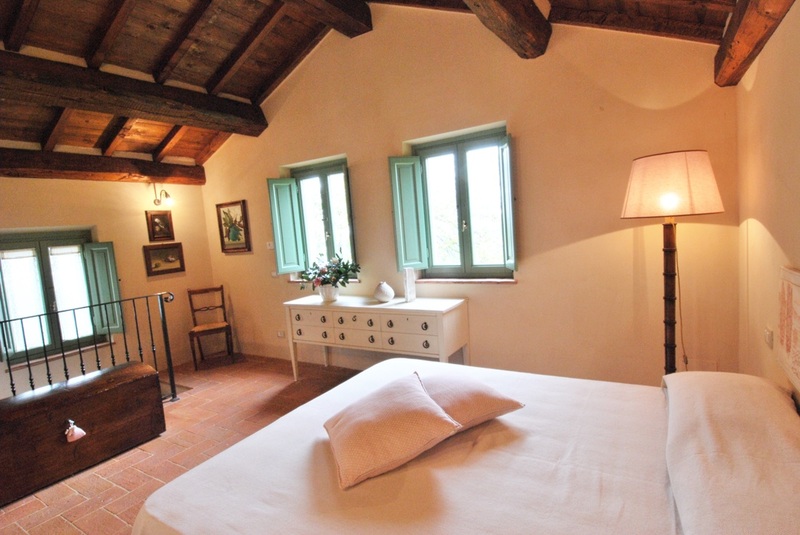 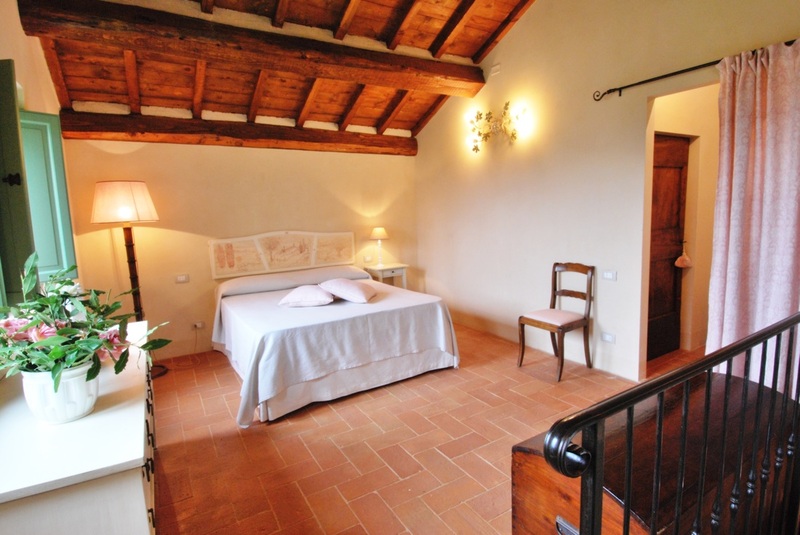 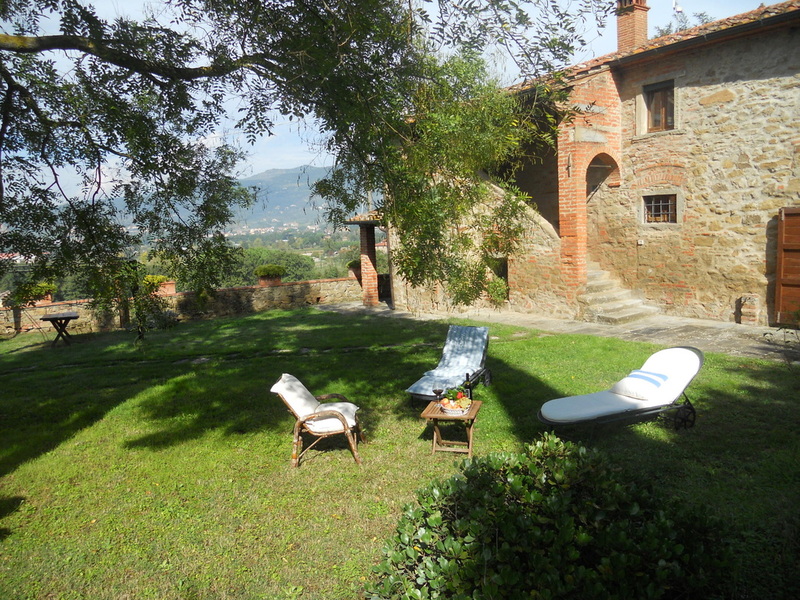 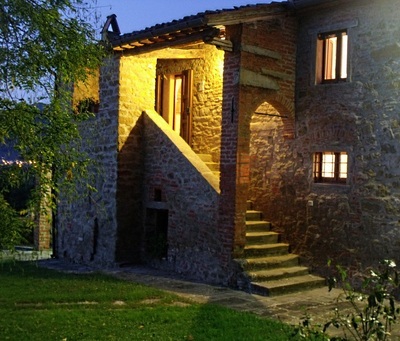 The views of Castiglion Fiorentino and the surrounding countryside are always with you at this hilltop retreat. 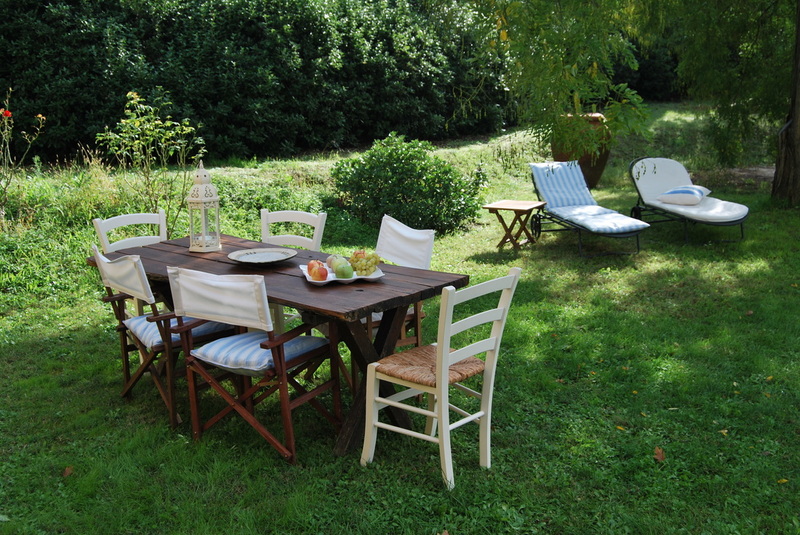 There is also a charcoal barbeque on site for guest use.Three touring bicycles are available to guests who might enjoy a slower paced, albeit challenging, exploration of the nearby country side. Guests may use the laundry area on the ground floor of the villa which includes a washing machine. 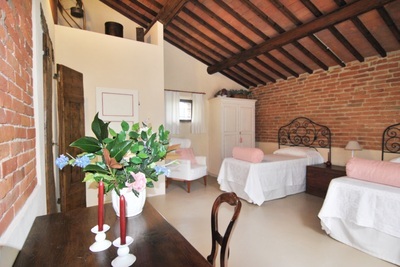 Clothes may be hung on a rack to dry. 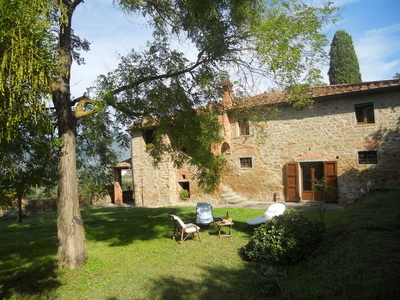 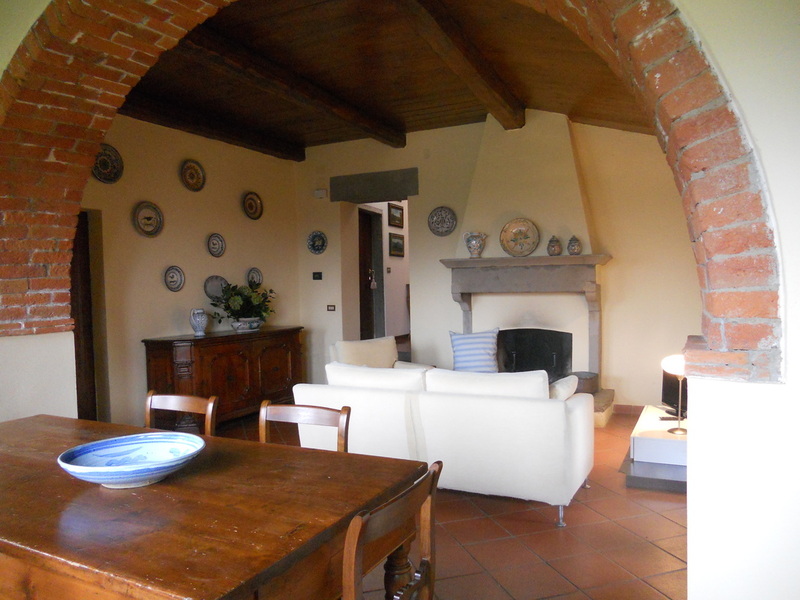 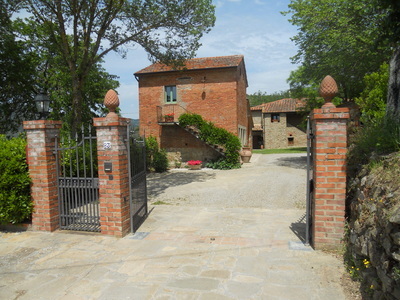 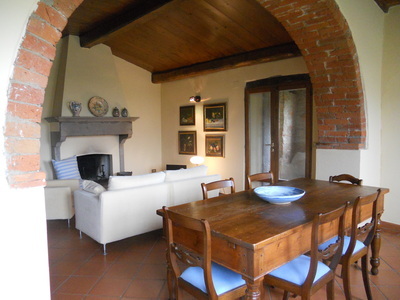 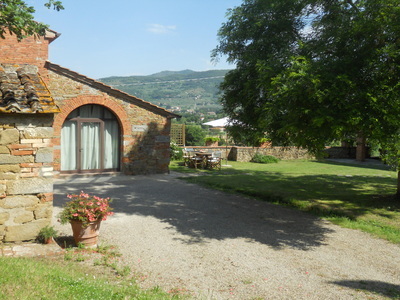 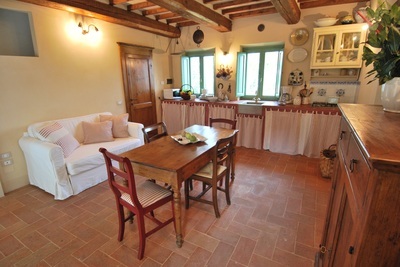 The owners live nearby in the near village of Castiglion Fiorentino and are available should you require assistance. We are happy to give you recommendations and help make reservations for local dining. We can also give you advice on what to do or see in the area.The villa is located in southern Tuscany, with easy access to interesting destinations. 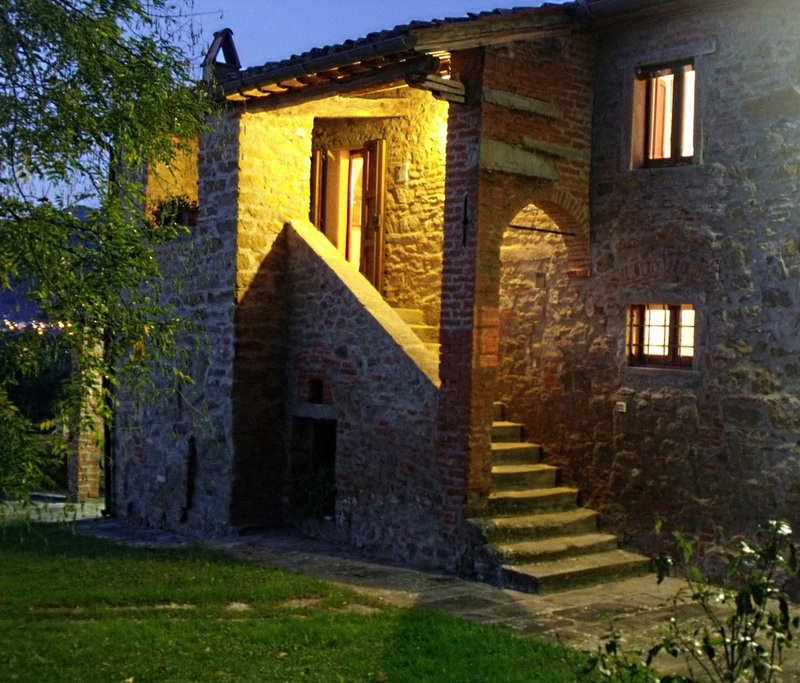 By car, we are 2.5 hours north of Rome, just over an hour south of Florence, 45 minutes east of Siena, and 40 minutes from Montepulciano, Perugia and numerous other beautiful Tuscan towns. 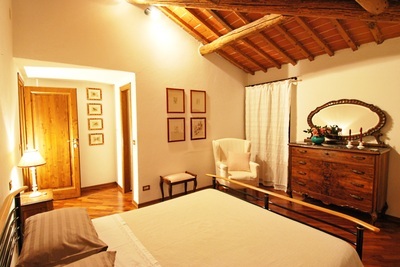 The property is just a few minutes from the Castiglion Fiorentino train station on the Rome – Florence train line.